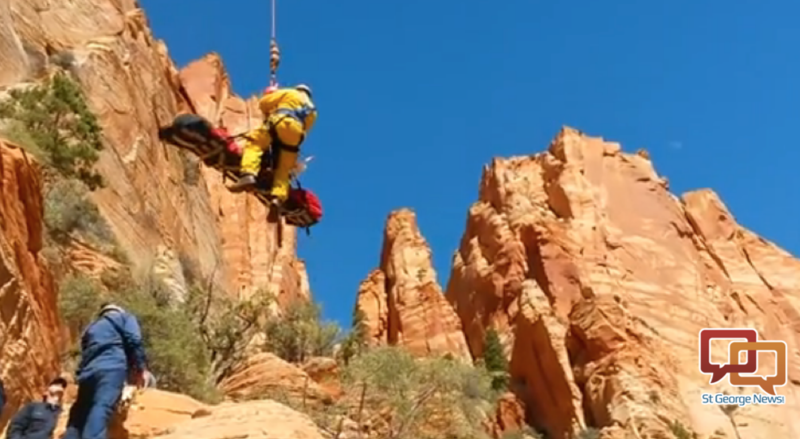 WASHINGTON COUNTY — Emergency responders airlifted a 17-year-old girl in serious condition to the hospital Saturday after she fell while free climbing with friends in a remote mountainous area near Hildale. The girl was hiking with a group of friends near El Capitan, the highest peak just north of Hildale. Authorities reported she was climbing the steep terrain when she began sliding down the side of the mountain and was unable to stop herself. 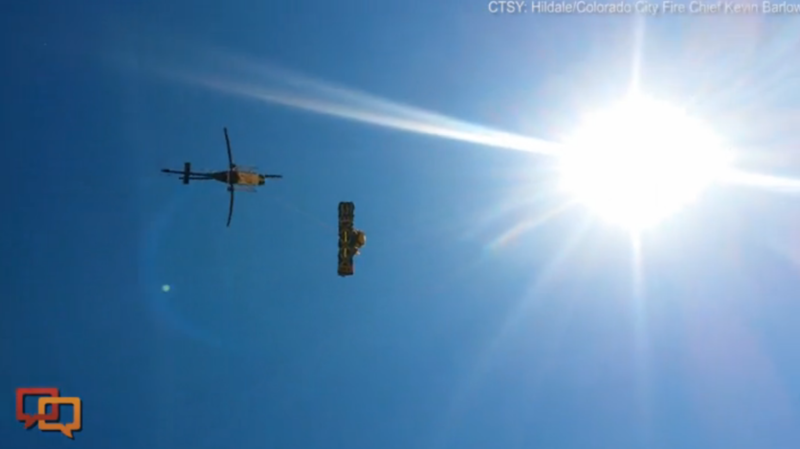 She slid off the side of one of the shorter cliffs, Hildale/Colorado City Fire Chief Kevin Barlow said. Once the teen left the cliff she continued falling, the chief said, in “part free fall, part tumble” until she struck the ground nearly 30 feet below. At that point one of the teens called 911 as the group started down the trail toward their injured friend. Meanwhile a Hildale/Colorado City rescue team mobilized to the area and started hiking up to where the teen lay unconscious. The girl’s friends stayed with her until emergency responders were on scene and attempted to stop the bleeding that appeared to be coming from a head wound. The hiker initially lost consciousness immediately after the fall, but was later awake and able to speak, Barlow said. It took rescuers over an hour to hike the steep, rocky terrain. Once the rescue team reached the area they found the girl conscious but seriously injured. 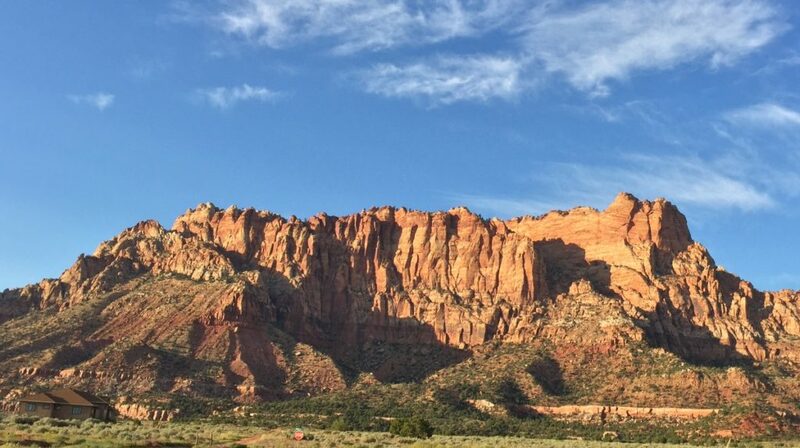 An Arizona Department of Public Safety Air Rescue helicopter, dispatched from Flagstaff Arizona, short hauled the injured teen to Maxwell Park in Hildale. From there the teen was loaded into a waiting Intermountain Life Flight helicopter and transported to Dixie Regional Medical Center in St. George in serious condition. A short-haul rescue is a technique where an individual is suspended below the helicopter on a 100 to 200 foot rope attached to a basket or litter with a harness. It allows a patient to be moved the shortest possible distance from difficult or inaccessible locations – for example steep or rocky terrain where a helicopter may not be able to land – to another where another type of medical transportation is available. Patients are typically flown out via short-haul with a responder attending to them below the helicopter. See video of this short-haul operation top of this report. Washington County Sheriff’s Office, Washington County Search and Rescue, Arizona Department of Public Safety and Intermountain Life Flight assisted Hildale/Colorado City Fire in the rescue. It was pretty impressive! All the different agencies worked together beautifully, but it was particularly interesting to watch the FLDS Emergency Medical Services. The FLDS tend to be unwelcoming, and traditionally avoid all contact with outsiders, but they are even more so with “apostate” or former members. And the Jeffs’ regime seems to have caused them to take on even more Zombie-like mannerisms and facades. However; when an emergency situation occurs within their district, they come alive and act like human beings. It’s fascinating to see them working alongside outsiders. They even joke and laugh and become downright pleasant! But as soon as the initial emergency has passed, their eyes glaze over, the masks slip back into place, and the soft monotone voices resume. The hypnosis is deep, because they are self-induced. It seems the only cure for it is crisis.